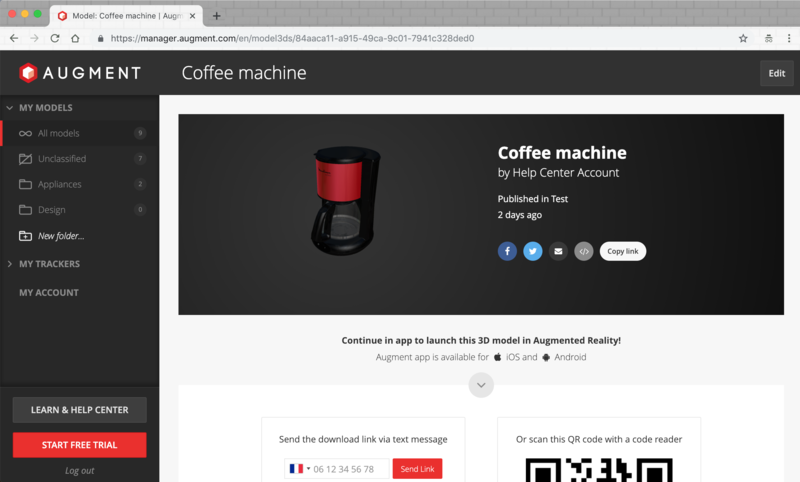 You can either share your 3D model from the Augment Manager or the Augment app. The recipient should have installed the free Augment app, but does not need to have an Augment account to view the model. 1. Log in to the Augment Manager with your credentials. 2. Click “My Models,” then “All Models”. 3. 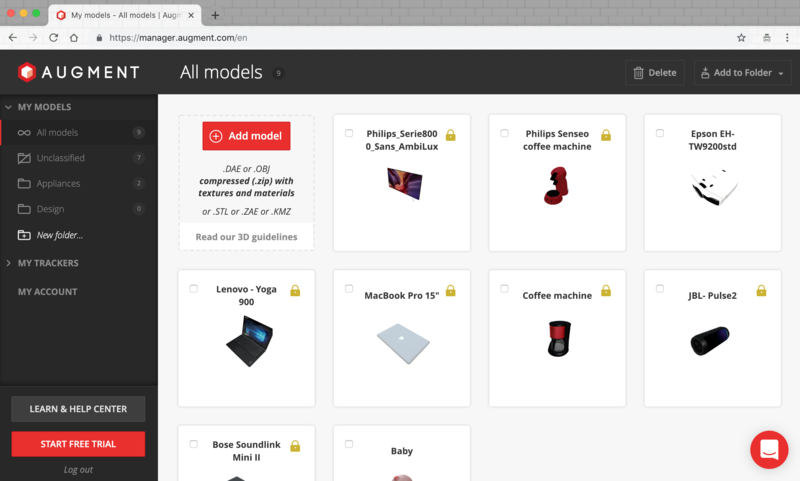 You can see all the models you have added to your Augment account. 4. Select your model by clicking the thumbnail image. Please note that if your model is private, only the "share by email" feature will be available. 1. Open the Augment app. 4. Click “Share” in the toolbar at the bottom. 5. Select to share via email, text message, Twitter, Facebook… then enter the recipient and send. 6. Augment will forward the link to the intended recipient. 7. 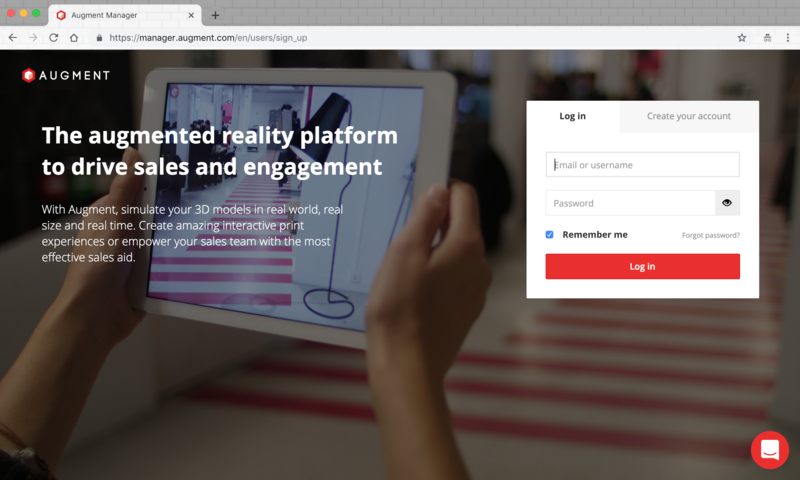 When the recipient clicks on the link, their Augment app will launch the model in augmented reality.